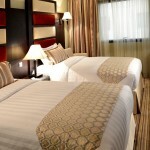 The hotel features 471 guest rooms and suites elegantly decorated and furnished with well-selected rich fabrics. Our rooms have a touch of Arabian warmth and culture to provide our guests with a unique hospitality experience. All rooms and suites have individual air-conditioning/heating control, direct-dial phone, tea and coffee-making facilities, satellite TV and internet access. 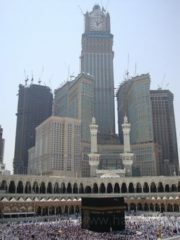 Overlooking the Holy Mosque, in front of the King Abdulaziz gate, stands Safwa Towers. 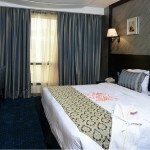 Al Safwah Royale Orchid is one of the closest hotels to the holy Mosque. Its striking lobby, with a stepped-ceiling, exudes an ambiance of famous Arabic hospitality. The hotel’s eye-catching exterior encloses another world of elegance in its fashionable interior. The hotel includes shopping arcades. 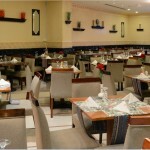 Marwa and Al Murjan restaurants cater to a wide range of international clientèle offering the best of middle eastern, western and Asian buffet. 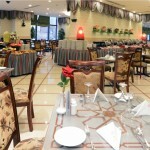 A ’La carte is also rendered by our multinational professional team members. The Lobby lounge offers coffee, tea, fresh juices and snacks throughout the day.